Rare bone witch Tea’s heartsglass is turning a dreaded black as she uses her magic to recall loved ones from death. For now, she’s been able to hide its dark mottles, but she’s in a race to discover the nature of this corruption before it destroys her or those she loves. 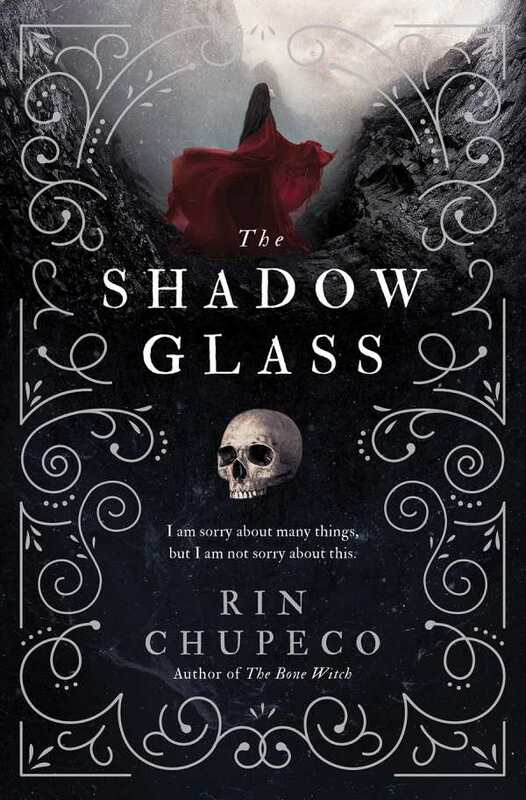 In Rin Chupeco’s The Shadowglass, the Bone Witch trilogy draws to a close. Tea uncovers the source of a world’s magic and revelations that threaten to change more than just her heartsglass. Tea’s choices are the lynchpin of a knotted plot. A split narrative shifts between an unnamed bard who’s trying to understand her tide of destruction and Tea herself as she wrestles with changing magic. These narratives bridge past and present, stretching and compressing action and pacing but never fully converging. Tea flip-flops from a flawed hero to a sympathetic villain and back. Teasing out which deaths are valid and which aren’t becomes increasingly difficult once the bodies start dropping—both in terms of Tea’s own internal code and the novel’s moral arc. The novel withholds its answers until the final battle, not laying the groundwork for Tea’s revelations. After a quest of increasing melodrama and tension, when the last battle’s joined, the truth she unmasks isn’t traceable. Most of her discoveries lie outside the narrative’s action and are delivered as a fait accompli. Perhaps most satisfying if read within the series, The Shadowglass is a story already in motion, its dense cast of characters and sprawling plot all converging on a conclusion.